So…you’ve slogged your way through Sanctuary – slaughtering hordes of demons and foul beasts – but now you’re ready for a land of sunshine, teddy bears, cupcakes, flowers and pretty pink unicorns. If you’re reading this guide then chances are you’ve heard of this place…you maybe just need to know how to get there. 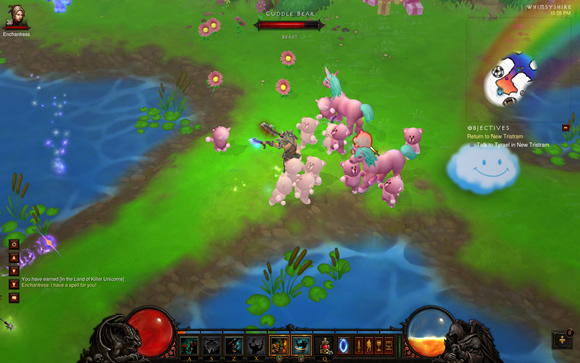 Well, here’s what you need to know about unlocking Diablo 3’s secret level…Whimsyshire. First off, if you’re just finishing up on normal, then know that you’ll need at least 150K gold to make it happen. Beyond that, it’s just a matter of collecting some mats for use in crafting the Staff of Herding that you’re going to need in order to unlock this secret dungeon…err…land of rainbows and love stuff, I mean. In addition to the 150K gold – and the mats needed for crafting the staff – the only other prerequisite is that you have to at least be on the Prime Evil quest. The recipe for the Staff of Herding drops off of Izual, who is just before Diablo in Act IV. As I’d mentioned, the key to unlocking Whimsyshire is the Staff of Herding. To craft it you’ll need 5 different mats – found at various places in Sanctuary – along with a recipe. The recipe for the staff – Plan: Staff of Herding – is a random drop off of Izual in Act IV. Here are some mini-guides to walk you through obtaining each of the mats. Start a new game at Act I, Quest 3: A Shattered Crown. Take the waypoint to the Cathedral Garden, then enter Leoric’s Passage. Head up the stairs to Level 1 of the Cathedral and search every room until you find Black Mushrooms. Click on the Black Mushrooms and loot your ‘shroom. Start a new game at Act I, Quest 9: The Imprisoned Angel – Part 2: The Cursed Hold. 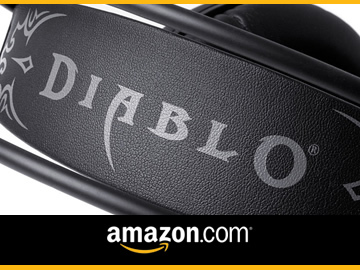 Take the waypoint to Leoric’s Manor. Enter Leoric’s Manor – go up the stairs, down the stairs, then enter the first room on the left and look for Burnt Logs in the fireplace at the far wall. If there are no burnt logs, then exit and retry. If the burnt logs are there, then click on them and loot Leoric’s Shinbone. Wirt’s Bell is a very easy item to acquire – provided you have the gold. Start a new game at Act II, Quest 2: The Road to Alcarnus. Head north and port into the Caldeum Bazaar. Proceed NW and look for “Squirt the Peddler”. She’s over by the cart near the fountain. Click on her Miscellaneous tab and buy Wirt’s Bell for 100K gold. This step can be done at anytime if you don’t have enough gold yet. Take the waypoint to Path to the Oasis. Head east – keeping to the south – and look for the first path that leads to a small hut where Zaven the Alchemist is being attacked by some Deathly Haunts. If Zaven is not there – exit out and retry. If the event is happening…kill the phantoms and then Zaven will talk to you. He then opens an entrance to the Mysterious Cave. Enter the Mysterious Cave and look for the Mysterious Chest. Open the chest and loot the Liquid Rainbow. This item is by far the hardest mat to acquire. For a more detailed walkthrough, please see this in-depth guide to obtaining the Gibbering Gemstone. Start a new game at Act III, Quest 6: Siegebreaker. Take the waypoint to Korsikk Bridge. Head east into the Fields of Slaughter and look for the Caverns of Frost. If you see Icefall Caves, exit out and retry. If the Caverns of Frost event is spawned, enter the cave, head down to level 2 and look for Chiltara. If Chiltara is not spawned, then exit out and retry. If you get lucky and find Chiltara, then kill her and take her gemstone. Update: The drop rate for the Gibbering Gemstone is currently bugged as of Patch 2.0.3. Blizz is aware of the issue and will hopefully be fixing it soon! The recipe for the staff is a random drop from Izual. I don’t know the drop rate, but I got mine after the 6th kill. 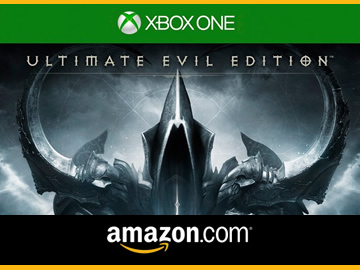 Start a new game at Act IV, Quest 4: Prime Evil. Take the waypoint to the Crystal Colonnade. Enter the Gateway to the Silver Spire and make your way to the Great Span. Kill Izual and loot the plan. If he doesn’t drop it, then exit out and retry as needed. Gather up all your mats and your recipe, then go see the Blacksmith. Right click on the recipe to teach him the plan. Select the Staff of Herding in the list of weapons and fork over 50K for his troubles. In Act I, take the Old Ruins waypoint then head west along Old Tristram Road. Look for the skeleton of a cow right near a glowing crevasse. Provided the Staff of Herding is in your inventory, the cow’s ghost will appear and talk to you. 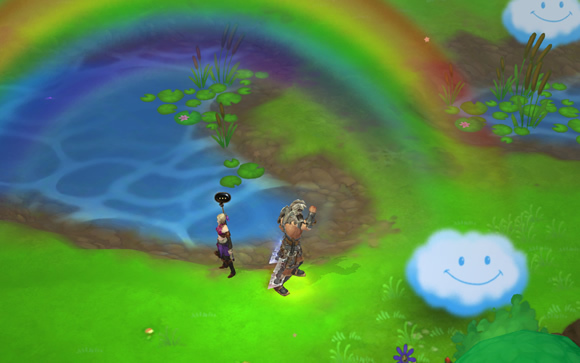 The ghost of the Cow King will chat with you for a bit, then unlock the gateway to Whimsyshire. Head in and start killin’! 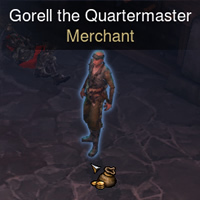 Talk to Gorell the Quartermaster in the Bastion Keep Stronghold. He sells the upgrade plans for 1G. So there ya have it… that’s how you can gain entry to Whimsyshire in all 4 difficulty levels! Now go kill some teddy bears and loot some clouds! A Treasure Cloud..?! F**K YES…FIST PUMP! Unfortunately, there is a chance not to loot the liquid rainbow. Dont worry , take the teleport (after you clean all the cave) and go outside the cave. Talk to Zaven the alchemist, sell all the staff you dont wanna keep and then make a teleport near Zaven. Go to Hidden camp and then leave game and then resume again. Take the Path to the Oasis and Zaven will be there again!!! It worked for me 4 times, so the item dropped!! hahahaha, pay real money for a gold farming guide? rofl. Here is exactly what he guide will tell you. Do not play the game, PLAY the auction house. get some gold, use that gold to buy undervauled items, then resell those items for 10x more. Not only is it obvious (and tedious, boring, and completely not fun), why would anyone pay real life money for a guide to make gold when you could just BUY the gold for real life money???? 24 bucks will buy you way more gold way faster than this guide will. can u get the mats for this from different modes, and they will still work together to build staff..? ie example if i get mushrooms in norm, and the bottled rainbow in hell, can i still make the staff? Zaven must be like very very very very rare. After doing 100++ runs and not even seeing him..
Been doing it for 10hours plus “hunting” for the “Liquid Rainbow” and end up with nothing, then i googled and found a tips for it. I had personally tried this and found him 3 time in a row. maybe I m just “lucky” I don’t know…. The instruction is easy, first set the Quest to “Act II: 7. Blood and Sand”, then Click kulle (Yes, click him, just get the quest – I don’t know why, maybe he bring luck), then Go to “path to the of oasis”, search at spawn location 1, if not found, then go to ” Dahlgur Oasis” go to the second spawn location.
. IF not found yet, change to “Act II: 8. The Black Soulstone” , then look at both spawn location. Just Repeat the whole process until you found him..
Chiltara just spawned for in the southwest location. It is very random. Take like 12 try’s. Thanks for all the info. I got both the Liquid Rainbow and Gibbering Gemstone first try and I didn’t even know what they were for. I have kill thew mob for the Gibbering Gemstone 4 times and it has not droped once… did they change the drop rate? Anyone having problems getting the “Gibbering Gemstone or the Plans”? It seems Blizzard did something to tamper with the drop rate in Patch 2.0.1. I’m hoping it’s just a bug and will be fixed, but it seems like a lot of players have had terrible luck getting the gem to drop since 2.0.1. This intghis’s just the way to kick life into this debate. For those who are playing on a console (Xbox or PS3) liquid rainbow and Leoric’s Shinbone are not needed. You solved all my problems. For real. What I found weird is that I went looking for all the materials listed for the PC version, got all but the Gibbering Gemstome, then got the plans from Izual and found that I didn’t even need Leoric’s Shinbone or Liquid Rainbow. So why do they even drop in the PlayStation 3 version. Much like all the junk materials in my Stash that claim they’re for set pieces that I’ve already crafted. I got the shin bone, mushrooms, and liquid rainbow as random drops without even knowing what they were for. I tossed them in the bank and looked them up to find out what they were for later…. Last night I started farming Chiltara for the Gibbering Gemstone. It took 19 tries. I ran on Normal for 3, Expert for 15 and Hard for the last one. I got Caverns of Frost 9 times, and Icefall 10 times..
That’s way more clever than I was excitpeng. Thanks! I’m being a bit harsh perhaps. I had one alright meal there and one terrible – I just can’t get on board with this tepid ‘raw’ cooking dealy. Brindisa is definitely an upgrade! Some genuinely fantastic information, Gladiolus My partner and i detected this. The outer conditions of your person’s life can be found in order to reflect their particular inner beliefs. by James Allen. Thanks for all your labor on this web page. My daughter takes pleasure in working on investigations and it is obvious why. I notice all of the dynamic mode you render very important tactics via this web blog and foster contribution from visitors on that area plus our simple princess has always been discovering a lot. Enjoy the remaining portion of the new year. You have been performing a brilliant job. Countless tries to get the gibbering gemstone on normal and no luck. Switched to torment 1 and got icefalls twice and caverns twice and got the stone!!! Is this still up to date? Tried to check Gorell the Quartermaster, but there’s no upgrade plan.. Also, I haven’t used my staff yet as I am afraid that I will need to search for the materials again, Can you confirm? And i play on the PS3 and it says i only need the Black Mushrooms, Leoric’s Shinbone, and the Gibbering Gemstone. Do you know why?